BLAKE Ferguson spent New Year's in hospital with a serious foot infection. The Daily Telegraph reported that the Eels recruit had to check himself into St George Hospital after cutting his foot on Christmas Day. The club is not overly concerned about his preparations for the 2019 season, believing he will be back at training as soon as it resumes in the new year. However he will require an operation if the infection doesn't subside. "The club's medical team is monitoring the situation closely and at this stage we expect him to recover in time for the start of 2019 training," an Eels spokesperson told The Daily Telegraph. Ferguson was reportedly training the house down prior to the Christmas break. He even skipped a NSW Blues bonding camp last month - putting a potential Origin recall at risk - in order to focus on the Eels. 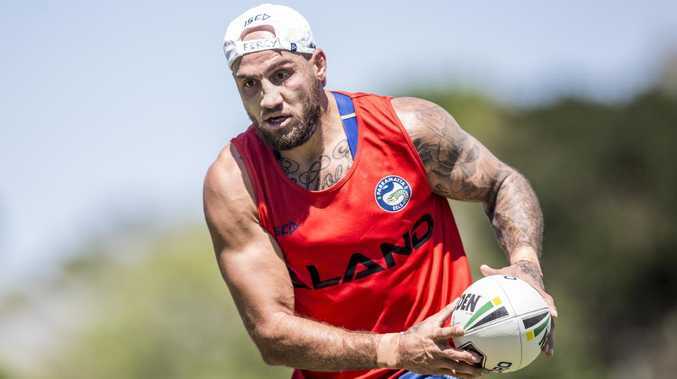 The 28-year-old linked up with Parramatta from the Roosters on a three-year deal worth about $1.5 million. The Dally M Winger of the Year in 2018, Ferguson is coming off one of his best seasons.